Pottstown, PA – ArtFusion 19464 will host their fourth annual summer beef and beer fundraiser on Saturday, August 9 from 6-9 pm. This year’s event will be held at the ArtFusion facility at 254 E. High St.
Tickets are $20 purchased in advance. If any are still available, tickets at the door will be $25. Tickets can be bought online at http://artfusion19464.org/event/2014-beef-and-beer/, in person at ArtFusion, or over the phone by calling 610-326-2506. Guests can choose the beef entrée, or a vegetarian sandwich option. Victory Brewing Company has once again generously donated their amazing beer for this event. Ice House will be making the hot beef sandwiches and Montesano Bros. will again be creating their amazing side salads and veggie sandwiches. There will be soda and water in addition to Victory beer and homemade desserts to finish off the meal. Along with enjoying great food and great beer, guests will have the chance to win fun door prizes, try their luck at a 50/50 raffle and bid on silent auction items. Proceeds benefit ArtFusion 19464’s upcoming fall educational exhibit Rainbow Crow and Other Stories. This show will feature artwork inspired by Native American stories. The non-profit community art center will once again be offering free field trips to local schools in conjunction with this show. Please email info@artfusion19464.org for more information on scheduling a field trip. The Rainbow Crow field trip program is generously sponsored by the Foundation for Pottstown Education. 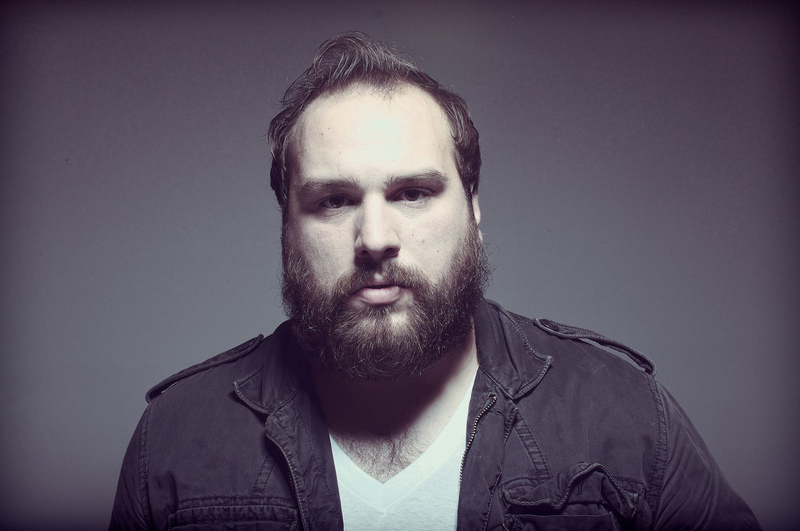 Pottstown, PA – Local musician Elisha Kane will perform in ArtFusion’s main gallery on Saturday, April 26 from 7-9pm. ArtFusion supporters may remember him from his performance at their Beef and Beer fundraiser in 2013. This live music event is also a fundraiser for the non-profit community art center. Elisha Kane’s influences span genres and generations. From hometowns to westbound trains, Elisha sings about the American dream, and the promise it both inspires and neglects. Learn more at facebook.com/kanemusic and listen to his music at reverbnation.com/elishakane. The music will last from 7-9pm. Light refreshments will be available for purchase, and the event is BYOB for those over 21. Tickets are $10 (cash only please) and can be purchased in advance at ArtFusion during regular business hours: Tuesday-Friday from 10am-5pm and Saturday from 10am-3pm. Tickets can also be purchased online at artfusion19464.org for $12. 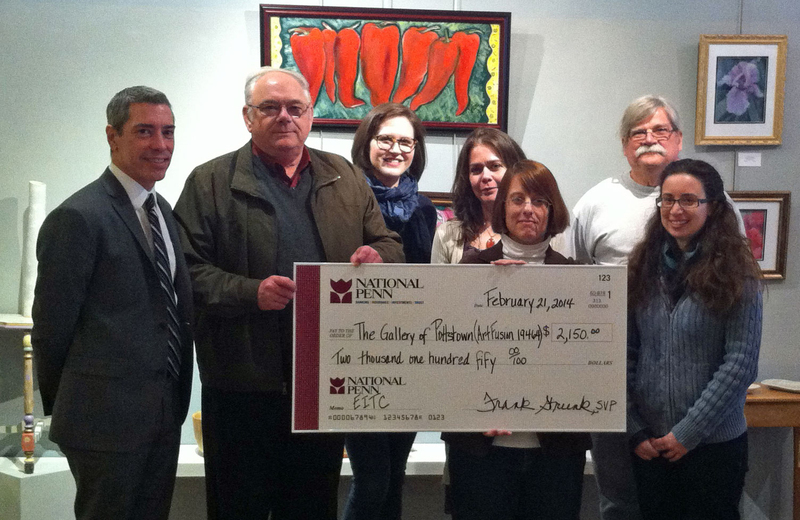 POTTSTOWN, PA – National Penn Bank recently presented ArtFusion with a $2,150 donation. The donation will help fund afterschool programs at the non-profit community art center. ArtFusion’s EITC-funded programs give children an opportunity to explore the arts, to express themselves in a new way and to learn that, while they may not be the best athlete, or get straight As in the classroom, they have a talent for creating. The donation was made through the Pennsylvania Educational Improvement Tax Credit program (EITC). EITC is a Pennsylvania program that provides tax credits to eligible businesses contributing an Educational Improvement Organization. Tax credits would be equal to 75% of a contribution up to a maximum of $400,000 per taxable year. This credit can be increased to 90% of the contribution, if a business agrees to provide same amount for two consecutive tax years. A business must apply for this program and then make a contribution to an organization that has also been approved. Check presentation. From left to right: Thomas Spann, National Penn Sunnybrook and Downtown Pottstown Branch Manager, Frank Strunk, National Penn Central Region Commercial Lender, Norah Cannon, ArtFusion Gallery Manager, Erika Hornburg-Cooper, ArtFusion Executive Director, Julie Tonnessen, ArtFusion Assistant Director, Carl Altman ArtFusion instructor and Kristen VonHohen, ArtFusion Pottery Studio Director. Pottstown, PA – The High Street Swing Company returns to ArtFusion for a third Jazz Nite fundraiser on November 2. Performing that night are Rick Rieger, Ben Bullock, Louis Rieger and Mark Druburgh, and featured singer Anakai Ney. Their jazz repertoire ranges from be-bop to classic. Guests will enjoy an amazing concert in ArtFusion’s beautiful main gallery. The music will last from 7-10pm. Light refreshments will be available for purchase, and the event is BYOB for those over 21. Tickets are $10 (cash only please) and can be purchased in advance at ArtFusion during regular business hours: Tuesday-Friday from 10am-5pm and Saturday from 10am-3pm. As this event has sold out the last two times, they do recommend purchasing tickets as soon as possible. On the night of the performance, they do ask visitors to use ArtFusion’s back entrance and arrive at least 15 minutes before curtain time. If you need specific directions, please call them at 610-326-2506. Pottstown, PA – Lumière Blanc: A study of white by Robert Koch opens on June 7 at ArtFusion 19464. The show will run until June 29 and there will be a meet the artist reception June 7 from 6-8pm. Light refreshments will be served. All receptions are free and open to the public. Robert Koch, a Boyertown native currently living in New Jersey, produced all new work for this innovative show. Robert talks about the inspiration behind this work: My approach as an artist has always been to make work that is as much about the materials themselves as the application of the materials. 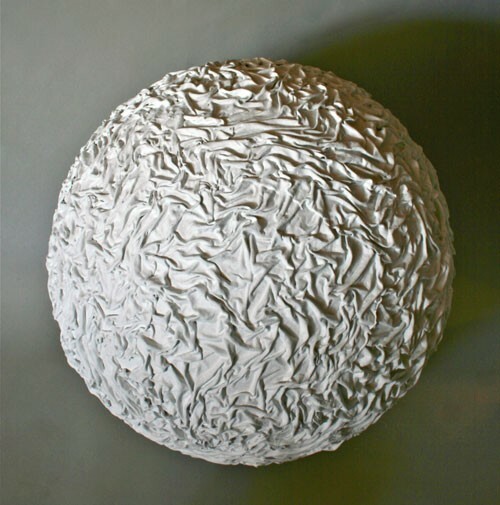 With my ceramics I have always kept my forms simple and functional and allowed the glazes to be the main focus. My welded steel sculptures are more about the welds than the steel. With my paintings I use the fluidity of the paint to dictate what happens on the surface. Building up layer after layer of paint it became apparent to me that color was no longer important. In fact the less color there was applied to the surface the more the paint itself because the primary focus. After stripping away most or all of the other colors the interaction light combined with the layering of paint revealed very subtle complexities. For this show the artist was also inspired by the way water moves in a river. “With my paintings each layer is like the surface of the water. After each layer dries and more layers are added the light has more texture to interact with. As the light changes throughout the day the surface of my paintings changes as well,” Robert said. Pottstown, PA – The mission of non-profit ArtFusion 19464 is to make the arts accessible to everyone in the greater Pottstown community. As part of their ongoing efforts to live that mission, ArtFusion will be offering three free art programs this summer for children ages 7-12. Two of these fun and engaging programs are sponsored by the Greater Pottstown Foundation. Kids Art Academy is a general arts exploration class, where students explore two- and three-dimensional arts. Students in Clay Academy delve into all aspects of creating with clay. Participants will work on handbuilding and also have a chance to work on a pottery wheel. Local young artists will also have a chance to expand their drawing skills while learning about a new language. Drawing with Hebrew Letters, sponsored by Sager and Sager and The Jewish Women’s League of Congregation Mercy and Truth, will introduce students to drawing using a creative language of letters and shapes. This free program is open to artists of all faiths. No prior drawing experience or knowledge of the language is required, just a desire to learn and create. Students will create with ink, paper and color, learning to express with their hands what their imaginations see. Applications can be picked up at ArtFusion’s 254 E. High St. location or downloaded from their website at artfusion19464.org/classes/scholarshipsprograms/. Applications are due by May 31. While preference is given to those students who qualify for free or reduced lunch, all students are strongly encouraged to apply. ArtFusion 19464 is a 501(c)3 non-profit community art center. The school offers day, evening and weekend classes to all ages. The goal of these classes is to help students develop their creative skills through self-expression and independence. ArtFusion’s gallery hosts rotating shows featuring local artists. The gallery also sells handcrafted, one-of-a-kind gift items. The gallery is open Tuesday through Friday from 10am-5pm and Saturday 10am-3pm. The gallery is closed Sunday and Monday. POTTSTOWN, PA – ArtFusion 19464 is hard at work on their next educational show, scheduled for September 2013. Following in the footsteps of their successfulThreads show in 2012, When We Were Soldiers will focus on the personal recollections of veterans of the Vietnam War. The show will run through Veterans Day. The non-profit community art center is asking the greater Pottstown community to become a part of this interactive educational exhibit. They are looking for letters and photos from the era to include in gallery displays. These mementos will also be used in educational field trips for local schools. Mementos can be dropped off at 254 E. High St. during regular business hours: Tuesday to Friday from 10am to 5pm and Saturdays from 10am to 3pm. Photos and letters will be returned after the exhibit closes. ArtFusion is also looking for veterans who are willing to share their stories. Local writers Sue Repko and Parker Blaney will meet with the vets and record their personal journeys for the exhibit. Veterans interested in being interviewed can call 610-326-2506 or email info@artfusion19464. Interviews are being scheduled now. There is also a need for old military uniforms to be used in an exciting fiber arts project that will become part of When We Were Soldiers. They are able to use any size, condition or clothing item (pants, shirts, etc.). While Vietnam era items are preferred, items from any era are acceptable. Please note that these uniforms will be cut up for the project and cannot be returned. Pottstown,PA – ArtFusion’s seventh annual Fashion Plates fundraiser will take place on Saturday, April 20 at Brookside Country Club from 6-9pm. This year’s theme is Fashion Notes, and the event will be an amazing fusion of food, fashion and music. ArtFusion 19464, formerly The Gallery School of Pottstown/Gallery on High, is a charitable 501(c)3 non-profit community art center. Proceeds from this event help them not only to continue to offer a great selection of classes for all ages, but also to expand their free programs and scholarships. ArtFusion has been bringing the arts to the greater Pottstown community for almost 8 years, and relies on major fundraisers like Fashion Plates to help keep their doors open. Generous community sponsors of this event include: Heartland Abstract, S&H Interiorscapes, Dolan & Mayerson, PC and Genesis Housing. Jazz musician Adam Price and his band will perform musical hits from the 1920s, 30s and 40s. Guests will experience a dynamic, multimedia fashion event with local student models wearing vintage costumes from several jazz eras. The models will walk to the accompaniment of Adam’s jazz quartet performing musical hits from each era. Visit his website to hear some of Adam’s musical talents: www.adampricemusic.com. The event’s silent auction is based on the idea of Edible Art, with local bakers, confectioners and chefs creating mouthwatering items for guests to bid on, as well as locally crafted beer and wine. Among those donating their culinary talents are: Bause Catering, Montesano Bros., Sand Castle Winery, Stone Keep Meadery, Giant, Bridge Street Chocolates, The Baker’s Touch and many more. Tickets are $70 each, or two for $120. Guests will enjoy a delicious dinner and yummy dessert, a chance to win fun door prizes, an evening of live music and fashion. A cash bar will be available. Tickets can be purchased online at artfusion19464.org, over the phone at 610-326-2506 or in person at 254 E. High St.
ArtFusion 19464 offers day, evening and weekend classes to all ages. The goal of these classes is to help students develop their creative skills through self-expression and independence. ArtFusion’s gallery hosts rotating shows featuring local artists. The gallery also sells handcrafted, one-of-a-kind gift items. The gallery is open Tuesday through Friday from 10am-5pm and Saturday 10am-3pm. The gallery is closed Sunday and Monday. Local young artists will soon get a chance to expand their drawing skills while learning about a new language. Drawing with Hebrew Letters, sponsored by Sager and Sager and The Jewish Women’s League of Congregation Mercy and Truth, will introduce students to drawing using a creative language of letters and shapes. The graphic quality of the Hebrew alphabet is the perfect inspiration for teaching language through art. Students will create with ink, paper and color, learning to express with their hands what their imaginations see. This free program is open to artists of all faiths. No prior drawing experience or knowledge of the language is required, just a desire to learn and create. Applications can be picked up at ArtFusion’s 254 E. High St. location or downloaded from their website at artfusion19464.org. Applications are due by March 31. Pottstown, PA – On Saturday March 30, ArtFusion’s beautiful gallery will be the backdrop for an amazing night of jazz music. A reprise of a sold out event, Jazz Nite II will be a benefit show for the Give the Gift of Music Foundation. Local musicians The High St. Swing Co., with special guest The Wilson Bros., will perform. Their jazz repertoire ranges from be-bop to classic. The music will last from 7-10pm. Light refreshments will be available for purchase, and the event is BYOB for those over 21. Tickets are $10 (cash only please) and can be purchased in advance at ArtFusion during regular business hours: Tuesday-Friday from 10am-5pm and Saturday from 10am-3pm. As this event sold out last time, they do recommend purchasing tickets as soon as possible. Give the Gift of Music Foundation is a 501(c)(3) nonprofit Pennsylvania corporation organized exclusively for charitable and educational purposes. They support musical education for eligible children by providing donations of musical instruments and/or scholarships for lessons at approved providers, such as High Street Music Co., who share the belief in the importance of quality musical education for all children. ArtFusion will be holding a great beat-the-winter-chill fundraiser on Saturday, January 26 from 11am-1pm at their High St. location. The Soup Bowl fundraiser debuted last year and is back due to poplar demand. Lunch includes all you can eat soup, bread, beverages and homemade desserts. Guests can choose their favorite soup—or sample them all. In response to requests from last year’s event, this year soup enthusiasts can also purchase a recipe book so they can make their favorite soups at home. 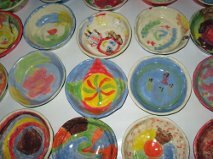 As a thank you, supporters will take home a handcrafted ceramic bowl created by local volunteers of all ages. Each bowl was created though the combined creativity of two different volunteers. One created the ceramic bowl and one decorated it with a one-of-a-kind glaze design. Tickets are only $15 and all proceeds benefit the local non-profit community art center. Tickets can be purchased online at artfusion19464.org, or at their 254 E. High St. location during regular business hours. There are a limited number of tickets available for this event. ArtFusion request that those interested in attending purchase their tickets in advance. January 26 will also mark the beginning of an eyeglass collection campaign for the Vietnam Veterans Chapter 565 and the Second Brigade MC Chapter G – PA. There is a great need for magnifiers/cheater eyeglasses in all strengths. Glasses do not need to be new but ArtFusion does ask that they be in good shape (not scratched or broken). The donated glasses will be given directly to veterans. 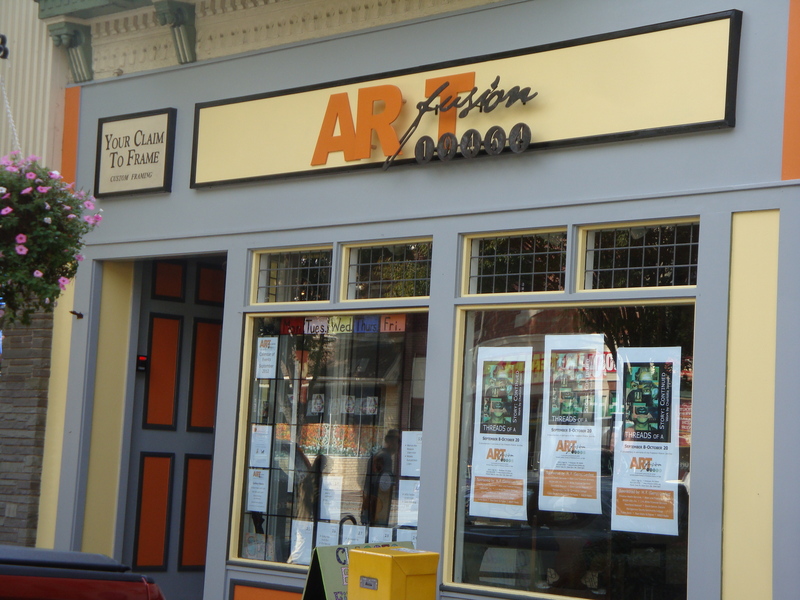 After the fundraiser, eyeglasses can be dropped off at ArtFusion during normal business hours through February 28.